First and foremost a very happy new year to everyone, hope everyone had a gala time! Now for the story, work got these two souls together. Wedding Storyz bring you the unique story of Rutuja and Vincent. They met each other in West Africa while working on a mining project. "Right from the beginning we connected in a really comfortable sort of way. We’re both in the field of social development and consulting and this involves a lot of travelling. The kind of work we do is a big part of what we are in person, and it definitely shapes our likes, dislikes and generally our opinions. It was just this aspect that drew us together" says Rutuja. (This is so true! When your core beliefs are similar, you usually find it easy to share your life with the other person). Most of the vendors that the couple chose were referred to them either by friends or family. They stuck to the good ol' tried and tested formula. They hadn't hired a specific costume or jewelry designer but took their pick from some choicest designers. They mostly self-styled their outfits and accessories. 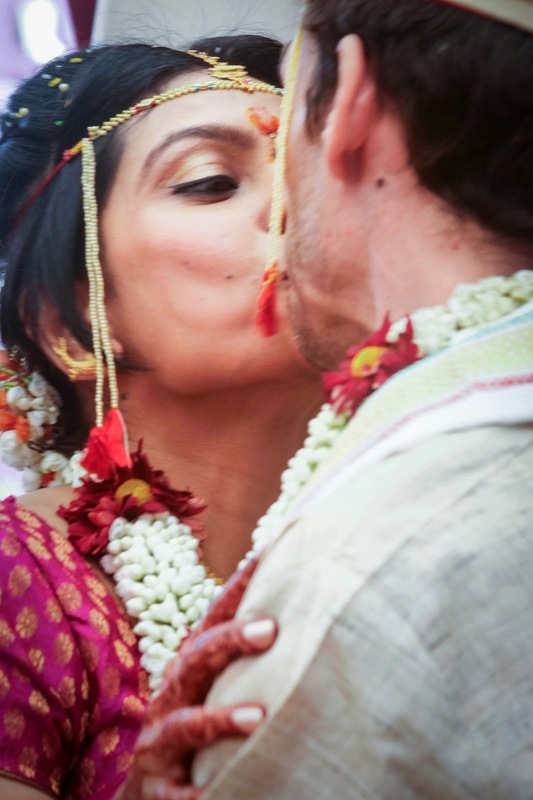 In-line with the rich Indian heritage, the gold jewelry worn by the bride was from family, most of it being traditionally handed down. 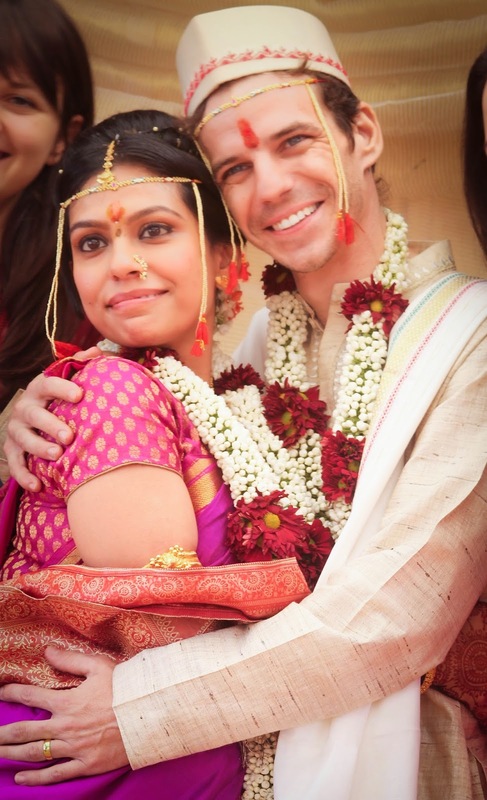 "Personally both Vincent and I kept the 'bling' and 'dazzle' to a bare minimum" shares Rutuja. (Way to go guys, unique is the word!). "To-be brides and grooms should definitely try and figure out how they would want to look like before going to a designer" she advises. The hair and make up artists were Sanjana Bhandari and her mother. They were recommended to the couple through some common friends and were great at keeping the look elegant. 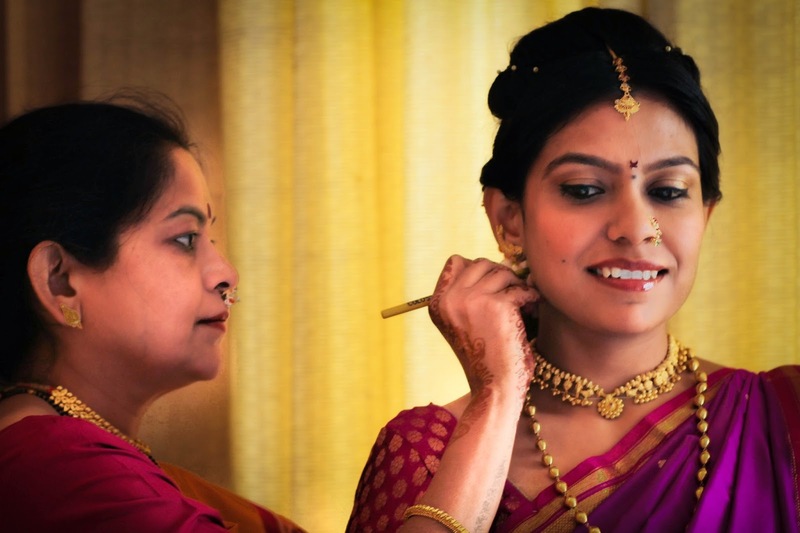 "Brides must ensure that they meet their makeup artist beforehand for a trial" says Rutuja. father. 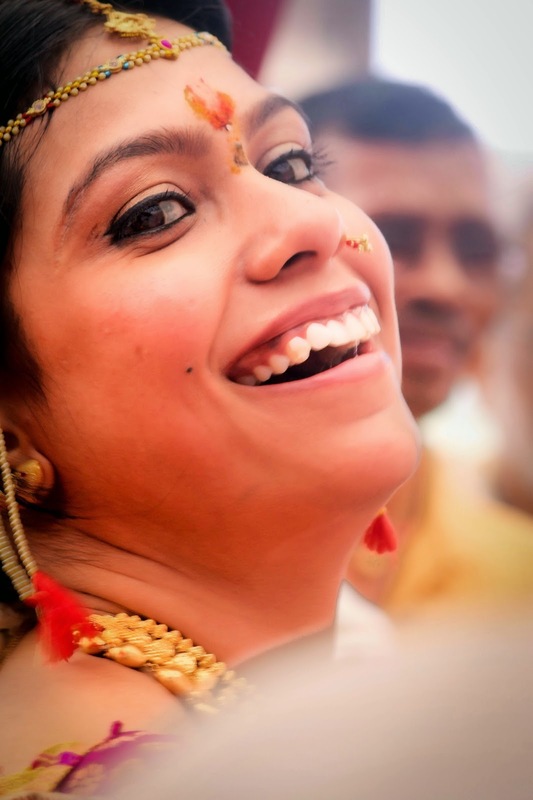 The idea of getting candid shots during the course of the wedding appealed to the couple and it would give them great memories to share with family and friends. The wedding was held at MIG Club. They chose this specific place keeping in mind the price, central location and the kind of flexibility the venue offered. The catering was done by Gypsy restaurant (standard caterer for MIG). They had arranged a food tasting session before hand. "The food was above expectations on the day, however, we didn't really get a chance to savor it as we would ordinarily have, considering the occasion" reveals Vincent. The couple told us that the wedding planning was a complete last-minute effort thus, they decided to keep things simple. 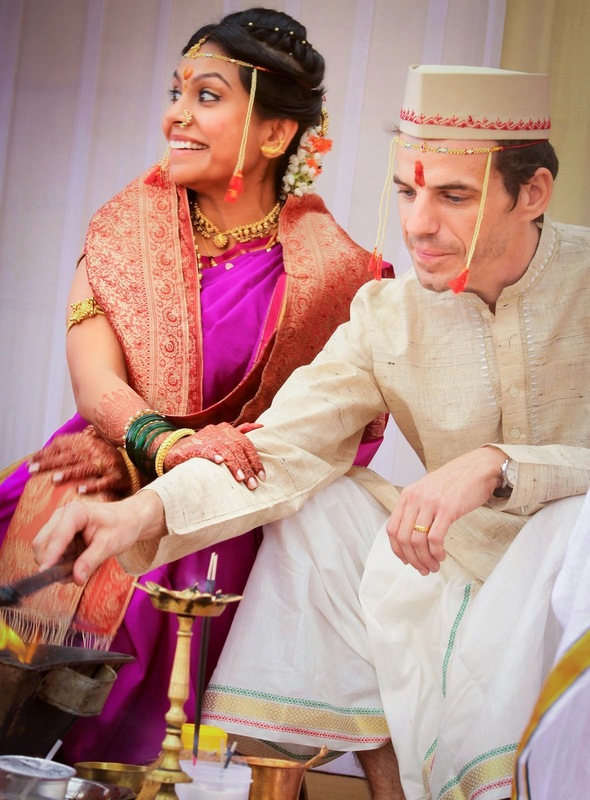 "We had guests coming in from a lot of countries and hence, we wanted to do a mehendi and cocktails in order to help people mingle and break the ice. That really helped overall" (Truly an international wedding and a great tip for weddings that involve guests from varied places). To end with, I enjoyed this interview very much! The couple was candid and vouched for last-minute wedding planning. Moreover, the wedding was a great example of a healthy cultural exchange. 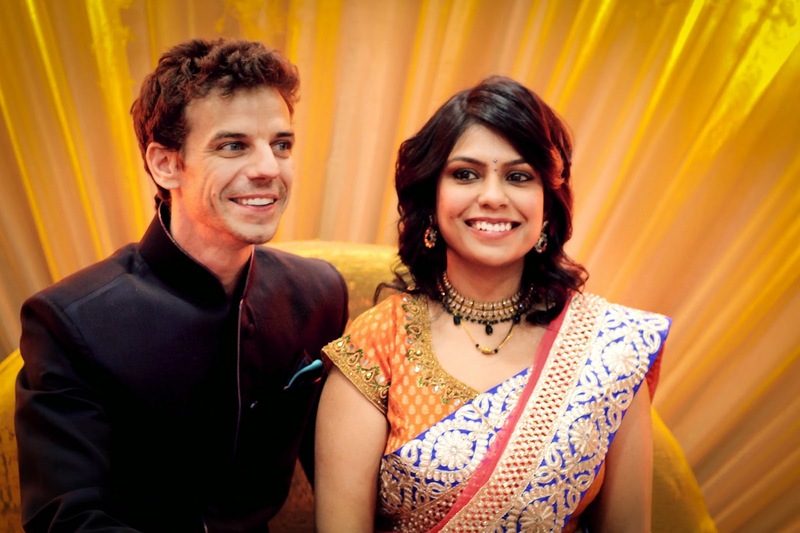 Anupa tells us the couple were an absolute delight to work with and were supportive of whatever she wanted to do. Even if there were any minor changes to be made in the venue, one of the first things that the couple thought of was how would it look in the photographs (this is what I would call 'attention to detail'). "Made me feel like a part of the family and that helped me shoot them easily and get out the perfect emotions to capture the beautiful moments. Probably the most fun couple I have shot so far. Beautiful people and a wonderful experience" she says. The photographer ends the interview with a short and sweet message to the couple, "Wish you all the happiness in the world, some of the best people I have come across and they are so wonderfully compatible that I feel fortunate to have not just shot such a beautiful wedding but also witnessed such a beautiful bond between two people" (I have witnessed and believe in such bonds... they are almost effortlessly, something that exists in nature, like H2O). Wow, this was a wonderful interview. I love how the couple met. It was a delight to read this! The couple is absolutely stunning! I love the relationship between the photographer and the couple. The moment the bride signed the legal documents shot was amazing! It truly captured her in the moment. I love those kinds of shots, I like how the couple kept not only themselves in mind; but the guests as well. Especially with them expecting guests from all over the country, and international. Great post! It is so true that when a couple shares core elements together it's what keeps them strong as a couple. 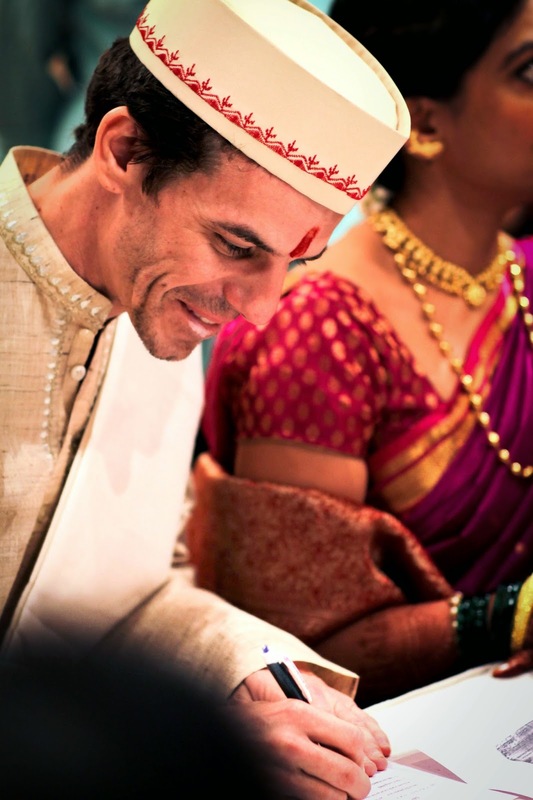 I also LOVED the bride signing the documents photo - those are the moments to cherish forever! The Mendhi is so gorgeous and intricate! 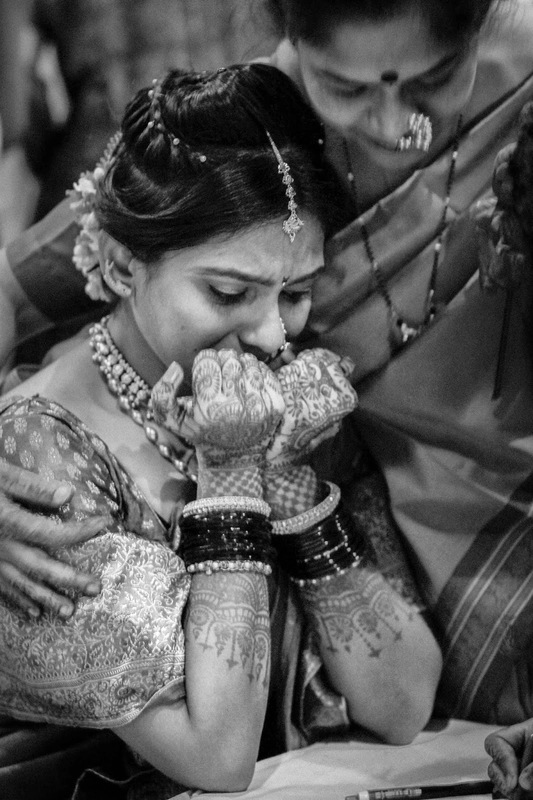 It must have taken forever, such a precious and emotional photograph of the bride. WOW!! !...beautiful pictures. really liked it very much. What a great story for such a well grounded couple! I love that they took the time to define who they were as a couple and used that to guide their wedding planning choices and decisions. The photos are beautiful. Thanks for sharing their story.